Christmas is over. Now what? Take down decorations or leave them up? Freeze the rest of the cookies or donate them? Better yet, leave them out and eat them up. Nurse my wounds about gifts not received well? Nurse my wounds about the lack of participation? Stay angry about bad manners? 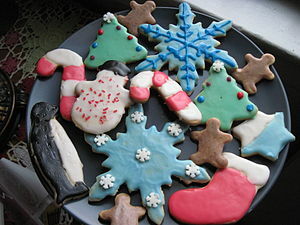 Well, I’ve decided to leave the decorations up, freeze some cookies and eat the rest. I’ve decided that the gifts that weren’t received well, even after a lot of thought, hey, that’s one easy, give them a gift card or remove them from the list of intended “giftees”. The lack of participation? Again, that’s easy. Do what I choose to do and if others choose not to participate, I’ll keep my integrity because I will have decided to do only what I want to do. It doesn’t matter what anyone else does or doesn’t do. Therefore, there is nothing for me to regret. Bad manners? Take them off the list. I refuse to reward bad behavior. You see this Christmas was pretty much a major success for me and my emotions. Believe me there was “stuff” to overlook. Had I wanted to nurse a few wounds, I could. There were some bad manners displayed over the course of the last week. There was one person in particular who delivered a number of “digs” my way on Christmas Eve. I will be talking to that person because I’ve decided that I don’t need to put up with their passive-aggressive behavior anymore. I come to the end of my Christmas day feeling pretty darn good about myself. Depression didn’t stand a chance because as I said in yesterday’s post, I was deliberate with my words, actions, and responses. I was determined not to let other people spoil my Christmas. Not under any circumstance. I’ve also learned a most valuable lesson this year and I hope I continue to remember it. People are people. Some people get along with each other; others don’t. There’s nothing I can or want to do about it anymore. But there’s one thing I still need to learn. How to handle bad manners and inappropriate comments when they happen and not let it get past me. I do way too much of that. It’s my biggest failing. I worry too much about losing someone’s love or affection to express how I really feel. I already know what one of my goals for next year is going to be. But you’ll hear about that in January. I am excited about January and my month for pause and reflection. It can be dangerous if your prone to depression but there’s a wrong way and a right way to reflect and I’ll walk you through it. , you’ll learn about yourself, too. More than likely there were some things you could have done differently. Then again maybe not. Sometimes we are too quick to blame ourselves when others should have the opportunity to grow up.